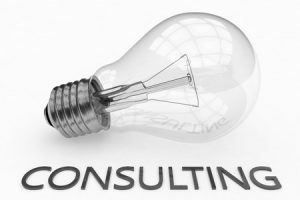 One way to gain an edge over competitors that refuse to outsource is to hire IT consulting in Houston as a way to learn more about technological efficiency. An often overlooked option is IT Standardization, which can accelerate business goals through building consistent infrastructure. Not only does this strategy increase productivity and efficiency, but it also improves staff morale while reducing downtime and potential security breaches. As any experienced IT consulting in Houston team can explain, IT Standardization helps make a business more efficient by starting with a foundation in which all planned components fit. If you know what types of software you plan on using, for example, it makes sense to use an operation system that can accommodate all necessary applications. You’ll be more readily prepared to use a volume-licensing program that comes complete with affordable upgrades and updates. This strategy will save you time on compatibility issues, especially if the system has built-in flexibility for third party add on applications. Your business will operate more smoothly when your IT consulting in Houston uses IT Standardization. This solution eliminates extra time wasted on investigating problems that tie up tech support with tracking down a variety of internal components. Contact us at HoustonTech to learn more how we can standardize your technology so that you can spend more time on planning business strategies and earning revenue.